Delray Beach Oriental Rug Cleaning Pros has been cleaning and restoring the finest handmade rugs from all over the world for many years. Our goal is to safely and gently hand wash your rugs in order for them to maintain the style, beauty and luster. Our experts take such care to insure that the rugs we return to our clients are not only clean and sanitary, but also properly maintained to increased the lifespan of all your fine rugs. Our special blend of organic shampoo agent will be used to wash your rugs according to its type, age, thickness, country of origin, fiber count and cause of stain. Our technicians take special care with your rugs and always identify what stains are present before we gently wash these away with our natural cleansers. Handmade wool and silk rugs are a good investment because the natural oils keep your rug from looking dull. This is why we only use natural cleaners in our washing process. These cleaners also neutralize other harsh cleaners that may have been present when we received your rug. Our special enzyme wash is perfect for pet urine and other accidents. Urine can cause severe color run and hardening to the foundation of the rug and pile. Our team takes pride in offering a state-of-the-art facility, where we gently, yet thoroughly clean Persian, Indian, Chinese, and Afghan area rugs and more. We care for textiles weaved in various parts of the world, from Turkey and Morocco to Portugal and Spain, and the many countries in between. Our rug cleaning process is customized for each particular type of fiber, whether natural or synthetic, such as wool, cotton, jute, silk, sisal, polyester, nylon, acrylic, and more. Delray Beach Oriental Rug Cleaning Pros guarantees the removal of most tough pet odors and other challenging smells and guarantees the removal of most stains such as tough protein stains and pet wastes. After we clean your rug, we will seal and protect the surface of to resist stains and apply an insect deterrent application to repel moths, carpet beetles, and insect larvae. Our entire rug cleaning and repair process includes restoring water-damaged areas, and we can provide a custom-sized rug pad to prevent your rug from slipping to extend the life of your rug. Don’t forget to ask us about our climate-controlled storage facility; we will properly roll and wrap your rug and store it until you are ready to have it delivered. We provide complimentary pick up and delivery. 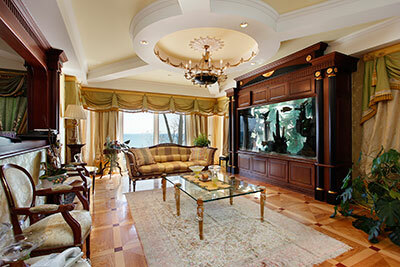 Oriental rugs trap dust, dirt, odors, and oils due to foot traffic, pet accidents, smoke, and various spills. 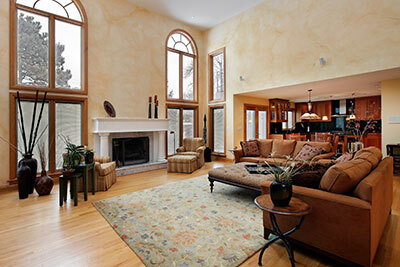 Proper area rug cleaning and care are important to extend the life of your rugs and keep them looking their best. Debris accumulation and improper care and cleaning can eventually damage an area rug—even those constructed with the most resilient fibers. Dust and dirt accumulate at the base of a rug. And over time, the debris can cause stains and friction and damage rug fibers, thus requiring professional rug cleaning and repair to restore the rug. 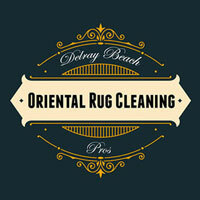 Our specialists at Delray Beach Oriental Rug Cleaning Pros will gently and thoroughly clean your area rug before applying your choice of rug protection treatments that will protect your rug from stains like wine, coffee, juice and pet accidents. Our cleaning solutions are hypoallergenic, non-toxic and safe for your family and your pets.